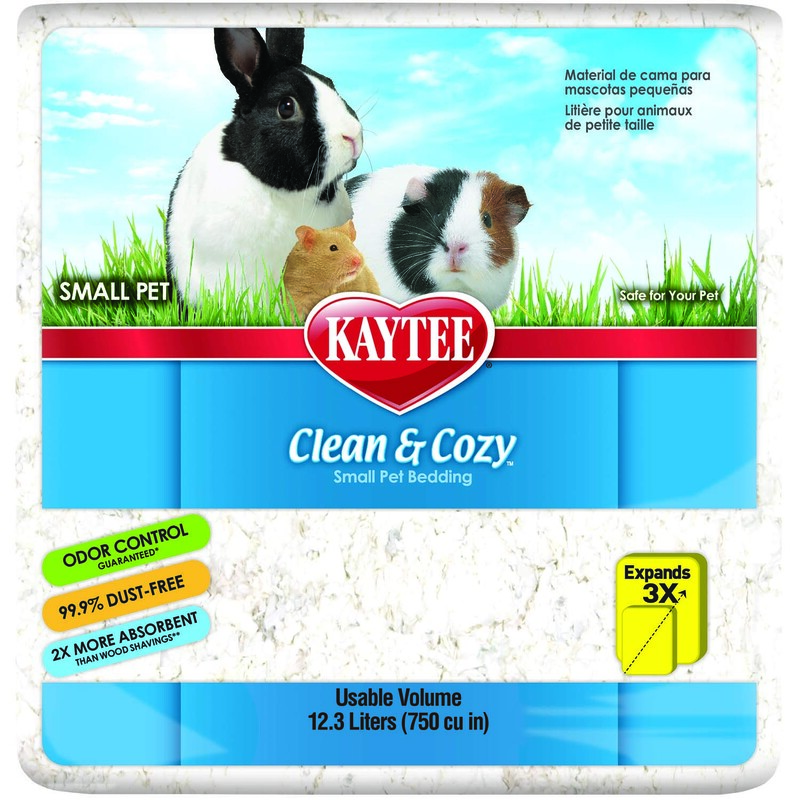 Kaytee Clean & Cozy White small pet paper bedding gives you a whole new standard in super-soft, absorbent bedding. Clean & Cozy is soft and fluffy to encourage burrowing or nesting while absorbing two times more liquid than wood shavings. Clean & Cozy's absorbency means less odor. That's why Clean & Cozy has an odor control guarantee. Plus Clean & Cozy is 99% dust free for a cleaner cage.